Bill's Plumbing & Heating, Inc.
We are a family owned & operated plumbing contractor located in Sequim, WA. We have been "GIVING OUR CUSTOMERS A PLACE TO GO FOR OVER 55 YEARS". We have the largest inventory of hard to find parts on the Olympic Peninsula. Our plumbers are licensed and certified yearly. We also have a small showroom. We also provide the peninsula with our SANIKAN (portable toilet) service. 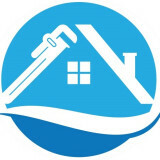 The Plumbing Guys, Inc. is a full service remodel and repair company. We can help you with any plumbing problem or project, big or small. 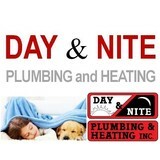 We have specialized knowledge and experience with all things plumbing. We have up-to-date equipment and tools, to provide the best results possible. Thunderbird Plumbing treats every job we undertake as a top priority. Superb craftsmanship and unparalleled customer service is our commitment to you. We operate our business on the principle of providing high quality work at fair rates in a timely manner. 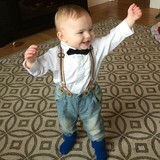 We know that satisfied customers are our best advertising and we set out every day to deliver the very best professional plumbing services available in Victoria and throughout Vancouver Island. Gerard's Plumbing offers superior quality workmanship in both residential and commercial applications. Armed with an arsenal of trade related experience, Gerard's Plumbing will soon become your "go to" service company. With a consistent record of customer service and satisfaction, we have proudly served the Snohomish and North King County areas with professional plumbing and drain cleaning services since 2005. Our team is comprised of some of the best plumbers and drain cleaning professionals in the industry. 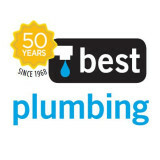 We provide all our customers with personal, quality service that you won’t find at other plumbing companies. Resolution Plumbing is a family-owned and -operated plumbing company in Marysville, WA, that you can trust to fulfill all your plumbing needs. When you schedule an appointment with one of our registered journeyman plumbers, you'll get quality workmanship and personalized service. We're a local business that's proud to be known for honest service at competitive prices. A plumbing contractor handles the installation and repair of water, sewage and natural gas pipes throughout a home, as well as interior and exterior faucets and fixtures. Plumbing contractors are also trained to work with water mains, septic tanks, laundry appliances, water heaters, sump pumps and other plumbing and pipe systems. Because plumbing repair work is done largely behind walls and beneath floors, some plumbing companies can also patch or replace tile, stonework and other surfaces. Although some Mukilteo plumbers are generalists, others specialize in specific areas; a 24 hour emergency plumber will handle urgent residential repairs, while others may be more skilled in remodeling, natural gas lines, overhead sprinkler systems and more. Find a local Mukilteo plumber on Houzz. Narrow your search in the Professionals section of the website to plumbing contractors in Mukilteo, WA. You may also look through photos of Mukilteo, WA projects to find a licensed plumber who has worked on a project similar to yours. Here are some related professionals and vendors to complement the work of plumbers: General Contractors, Septic Tanks & Systems, Kitchen & Bath Designers, Kitchen & Bath Remodelers.